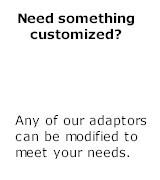 The CANUSB Adapter provides a PC interface to CAN (Controller Area Network) using the USB connection. A full ascii command set allows using the CANUSB with terminal emulations programs such as Terminal.exe and HyperTerminal. The USB powered device is based on the original CANPIC CAN232 device. The CANUSB module requires a Virtual COM Port driver to be installed. Click on the following to download the .zip file for your operating system to a directory such as c:\canusb\vcp. Unzip the files into the same directory and use this directory as the source of the driver files when Windows detects the CANUSB module. 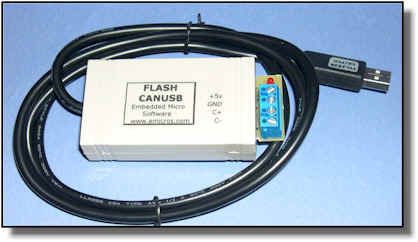 The CANUSB commands are the same as the CAN232 module and available in the following document.